Is your dog taking NSAIDs? (Non-steroidal anti-inflammatories). If so, use Special SAMe along with it to support liver detoxification and mobility. Often when dogs age, especially medium and large size dogs, they develop painful elbow and hip dysplasia. We highly recommend using the Arthritis Kit and Ultra-Flex for all senior dogs to help with pain and inflammation associated with these age-related conditions. If your pet's pain has advanced, your vet may prescribe Non-Steroidal Anti-Inflammatory Drugs (NSAIDs). These medications can provide temporary relief but should be used sparingly along with the supplements as they can affect your dog's liver and kidneys. Many NSAIDs are processed through the liver, so using Special SAMe is especially important. 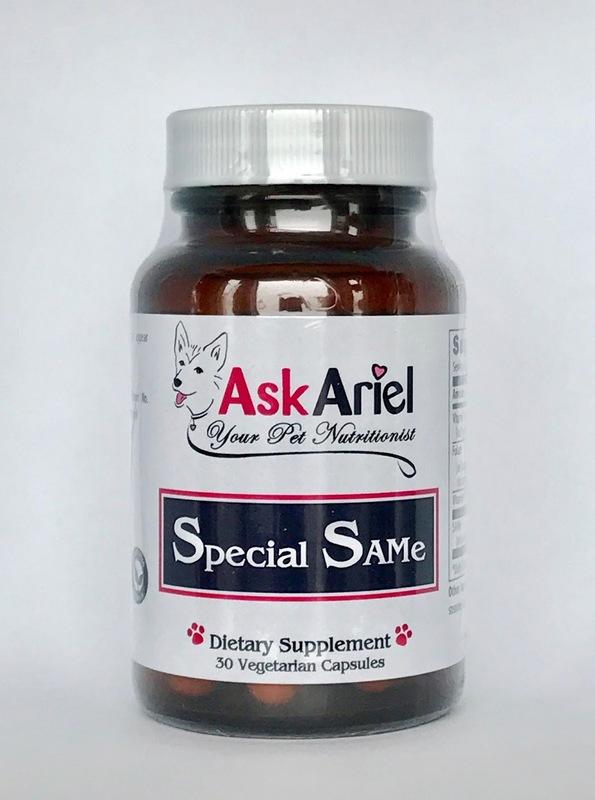 Special SAMe (S-denosylmethionine for Dogs) is scientifically proven to support liver detoxification and help with arthritis and mobility. It is an excellent companion product to give your dog if you are using a NSAID drug such as Rimadyl, Deramax, Meloxicam, etc.